Karachi: The Provincial Development Working Party (PDWP) has approved 11 different development schemes and projects worth of Rs 13.226 billion, including construction of Trauma Centre at Ojha Institute. However, the case about the establishment of four combined effluent treatment plants will be sent to the federal government for approval of the Central Development Working Party (CDWP). This was decided at the PDWP meeting presided over by the Secretary (Planning) P&D Department at Committee Room here on Thursday. The administrative heads of the health, industries, local government, women development, finance and planning development officers attended the meeting. The heads of the various departments briefed about their respective schemes and projects and observations made in the technical committee meeting and replied accordingly. 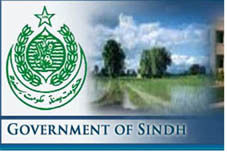 According to details, scheme of umbrella PC-1 structure development works in different Union Councils (District East Karachi package) worth of Rs 98.385 million would be used for improvement of RCC and sewerage in different union councils of Jamshed, Gulshan-e-Iqbal, Shah Faisal, Gadap and Korangi Towns. Another scheme of Rs 46.189 million regarding construction of 52 streets, roads, side drains, CC blocks and paves in Khairpur has been approved. An amount of Rs 500 million would be utilised for provision of water connection to Industrial and Economic Zone at Dhabeji and its adjoining areas while Rs 107 million would also be provided for natural gas to Industrial & Economic at Dhabeji. In health sector, construction of Neuro Science Complex at CMC Hospital Larkana containing Neuro Surgery Department, Neuro Medicine (Neurology Department) and Psychiatry Department worth of Rs 218 million and establishment of Trauma Centre Lab and provision of support services at Institute of Chest Diseases, Ojha campus of Dow University of Health Sciences, Karachi worth of Rs 681 million have also been approved.